1/4 LB. 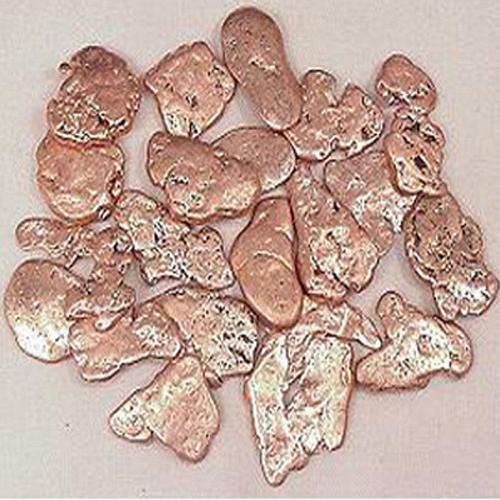 GENUINE COPPER NUGGETS. 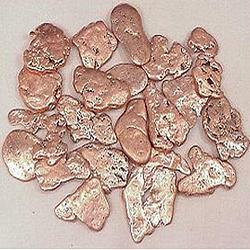 THESE LOOK LIKE MELTED POOLS OF COPPER. WILL ADD A WONDERFUL UNIQUE ELEMENT TO YOUR PROJECT. SIZES VARY BUT RUN ABOUT 1/2" - 1" AND APPROXIMATELY 15 PIECES.